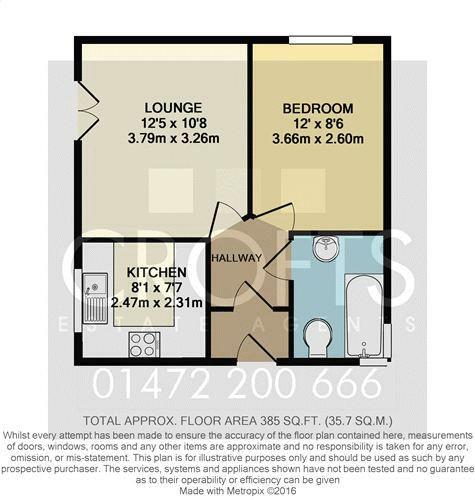 We are pleased to be advertising TO LET this smart, modern one bedroom first floor flat in a modern block of new build apartments within walking distance of the Grimsby town centre. The property is laid out in a simple way and has neutral decor and carpet throughout. The property also has a special feature to offer as it has Juliet Balcony doors to the front. There is a modern bathroom and kitchen to the apartment and the property benefits from electric heating and hot water and also uPVC throughout. Working tenants only. Contact our office now to arrange a viewing. We are pleased to be advertising TO LET this smart, modern one bedroom first floor flat in a modern block of new build apartments within walking distance of the Grimsby town centre. The property is laid out in a simple way and has neutral decor and carpet throughout. The property also has a special feature to offer as it has Juliet Balcony doors to the front. There is a modern bathroom and kitchen to the apartment and the property benefits from electric heating and hot water. Contact our office now to arrange a viewing. Access to flat via internal wooden door, neutrally decorated with internal doors providing access to all rooms. Beech effect kitchen unites with black granite effect worktops. Electric oven and hob, with stainless steel chimney style extractor fan and sink with mixer tap and draining board. uPVC double glazed window. Neutrally decorated room with Juliet balcony doors, neutral hard wearing carpet and centrally heated radiator. Nicely presented bathroom comprising of white bath tub, hand basin and low flush WC. uPVC windows to the corner of the room and centrally heated radiator. Neutrally decorated bedroom with uPVC double glazed window and centrally heated radiator.